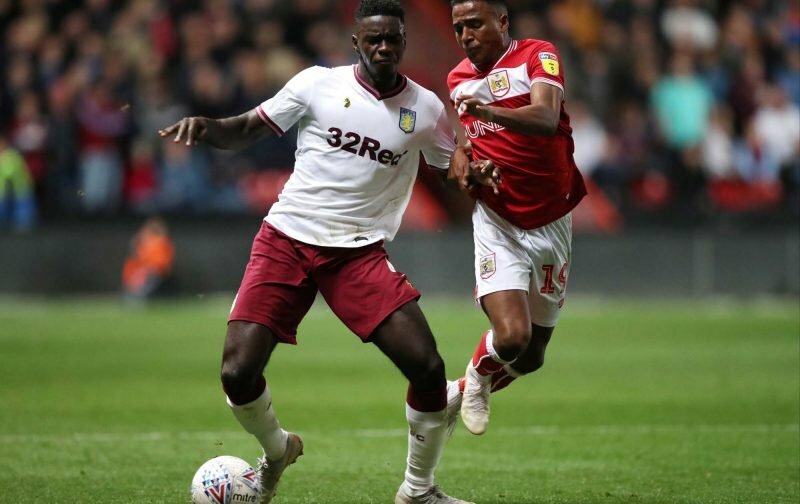 Axel Tuanzebe is currently sidelined with a metatarsal injury, causing him to miss Sunday’s 3-2 defeat against Leeds United and Wednesday’s 1-0 win over Swansea City. Dean Smith has already confirmed that the centre-back will miss Saturday’s meeting with Preston North End, saying Tuanzebe will be out for “a period”, but how long will that be? Metatarsal injuries typically force a player out of action for around six weeks, but some have recovered sooner in the past. Some players have been given a special walking boot to take the pressure off the foot while rehabilitating, while others have been given crutches. Elevating the leg and applying cold packs should help with swelling but the key will be foot exercised to aid in the recovery. It’s painful but very effective and could help a player return sooner than expected. Tuanzebe has already been out for close to seven days with his foot injury, so his return to the Villa side may not come for another five weeks or more – end of January/early February next year. That means Tuanzebe could miss Preston on December 29, Queens Park Rangers on January 1, 2019, Swansea (FA Cup) on January 5, Wigan Athletic on January 12, Hull City on January 19 and Ipswich on January 26. The hunt is on for a centre-back….